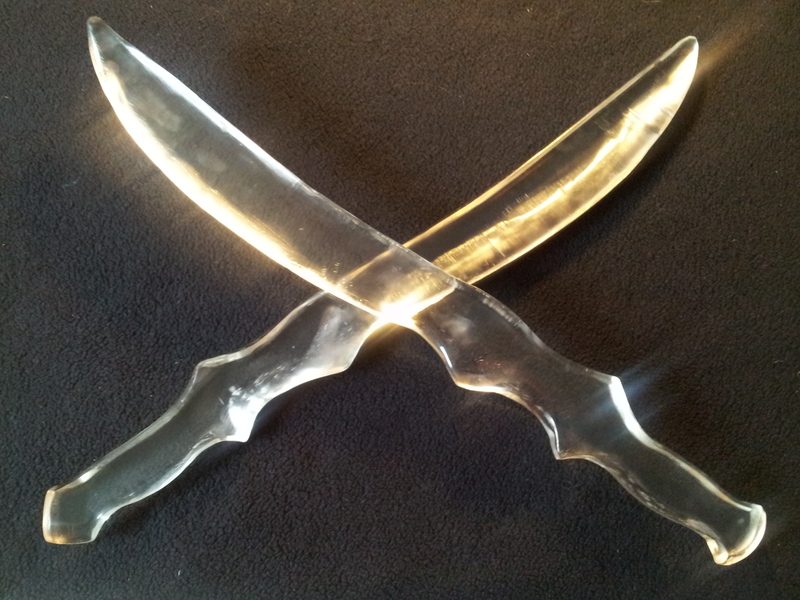 As promised, there is a new Buying Guide for my Shadowhunter swords up for you to peruse. In other news, I’m a couple days away from completing a re-finished Gabriel and a brand new Jahoel. I love the jump from 360 grit to the 600 grit polish. Such a change in clarity and smoothness. Anywho, the Adamant Studio is now taking commissions. If you’re thinking of grabbing a blade in time for the winter holidays, now is a good time to get your foot in the door before the rush. So! What have I been up to lately? Working hard. As you can see, Jahoel has been completed and is on its way to Norway. 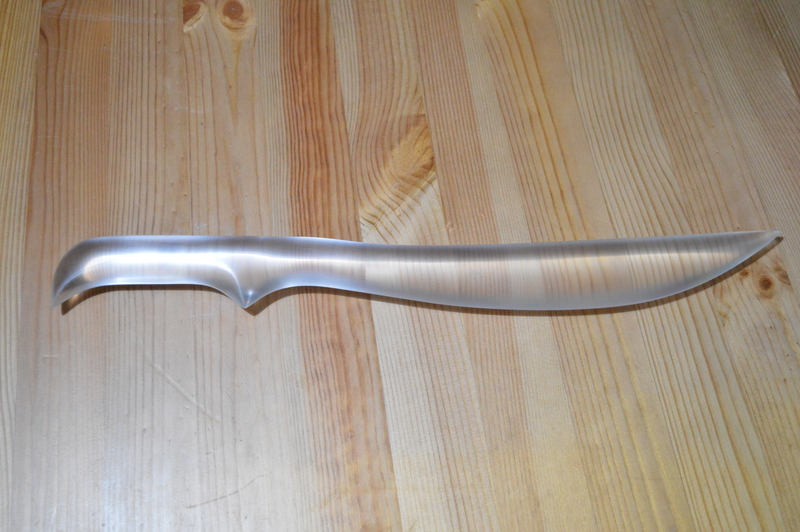 This is the first blade to be made from start to finish in the new Adamant Studio in Finland. I’m rather pleased with it. I think I’ve managed to hit a good balance between transparency and opacity so that they are both true to the description in the books, and photograph well. What’s next? Well, I have ordered leather to begin crafting the new TV series style blades for those who desire them. 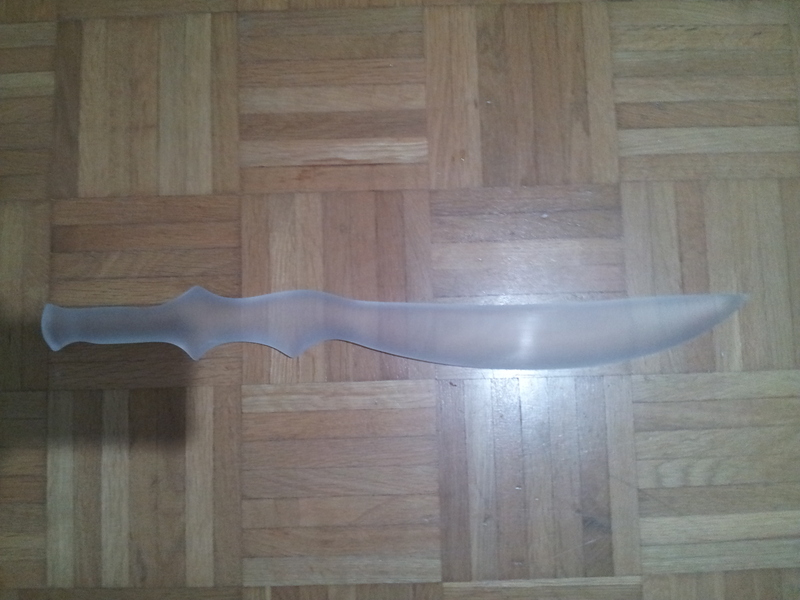 Also, my original show blades arrived from Canada! Remember these? Hi guys! I watched the trailer for the upcoming Shadowhunters TV series and I’m really excited to watch it. January can’t come soon enough! 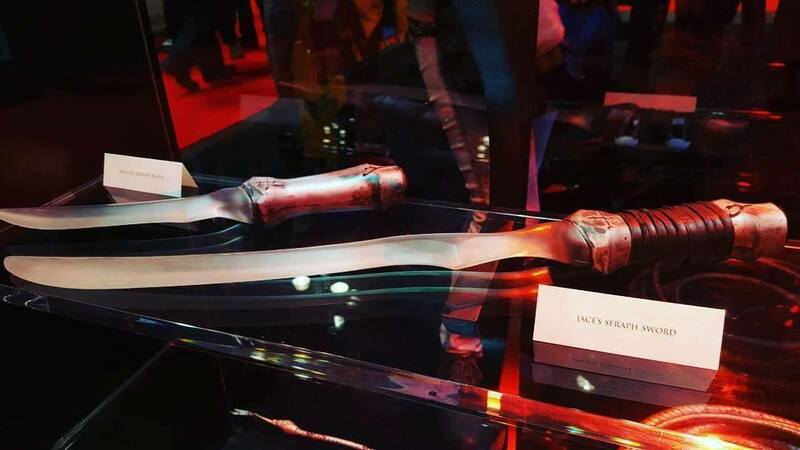 I noticed that the prop designers for this incarnation of Cassandra Clare’s creation decided to put opaque, metallic or wooden hilts on the Seraph Blades. There are also runes engraved into the handles. The blades in the TV series also spring from the hilt when engaged, much like a lightsaber. That would be far beyond my crafting capabilities. (I’m creative but I’m not a freaking warlock.) However, making opaque handles is well within the scope of possibility. 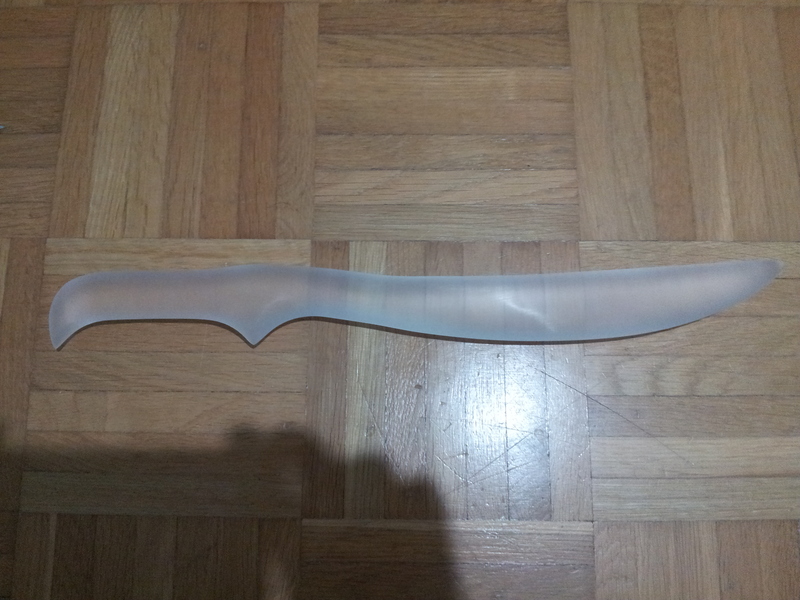 Another nice thing about an opaque hilt is that it’s possible to install a light inside to make the blade glow. In a perfectly clear blade, there’s nowhere to hide such a thing except in the palm of a glove. My questions are: Would you be interested in seeing me craft some TV series style Seraph Blades? Which do you prefer: the movie style or the TV style? Also, for those who like cosplaying Alec Lightwood, would you be interested in adamas arrow-heads? 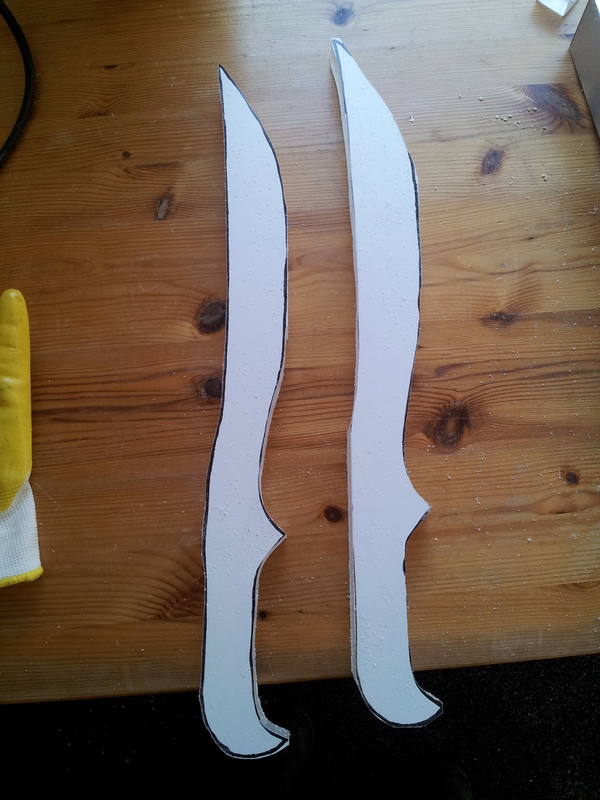 Short Swords Cut and Ready for Shaping! Just a wee update to let you all take a peek at what I’m working on right now. Author Ethan KincaidPosted on October 6, 2015 October 6, 2015 Categories Arts & CraftsTags Cassandra Clare, Crafting, Crystal Clear Sword, Infernal Devices, Mortal Instruments, Seraph Blade, Seraph Blades for Sale, Shadowhunter, Shadowhunter Cosplay, Shadowhunter Costume, Shadowhunter Sword, ShadowhuntersLeave a comment on Short Swords Cut and Ready for Shaping!